G5 is the most anticipated flagship device shipped by LG in 2016. As a common practice in Android world, the very first we will take consideration is how to root the device. And LG G5 is without any exception. With the rapid development of rooting technology, there are various rooting programs and apps out there. However, no one in this world could 100% guarantee the success of rooting. We need to be more careful about this. As an LG G5 user, I already tested a few apps to root my phone, which took me hours to find a right one. Android Root Pro is the app I finally went with because of its efficiency and user-friendly design. 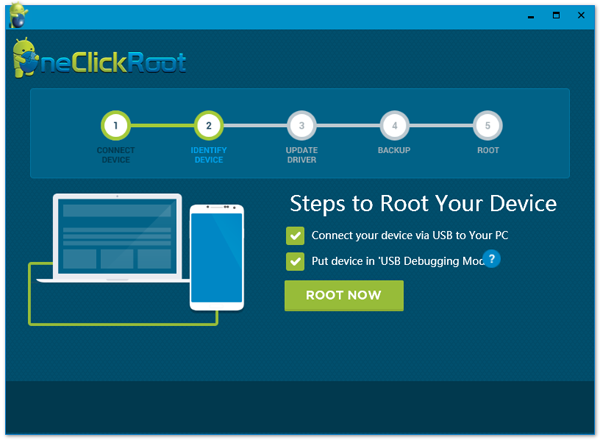 In the whole rooting process, I only clicked 1 click to get my device rooted. No additional work was involved. And that’s the reason why I felt in love with it. Plus, it only took a few minutes to finish the task, which is much faster than other rooting programs, such as iRoot, Kingroot. Not to mention the complex tutorial in XDA forum. What’s more, Android 5.0 and 6.0 devices are well supported by this program. Delete pre-installed apps or adware to keep the device clean. Flash new ROMs to G5 if you are not satisfied with the stock one. Keep update to the latest Android OS without waiting for official push. Boost overall performance and extent battery life by killing background apps. Free up storage as much as you can with the administrative access to the internal system. Create a complete backup for G5 to keep data in safe place. Turn On USB Debugging on LG G5. A Windows computer with G5 USB driver installed. A workable USB cable to connect G5 to computer. Android Root Pro is a desktop computer that works great on Windows and Mac computer. Click above download button to save the file and install it on your computer with default instructions. Finally, open the program after installation. The program needs the device to be connected to a computer so it can access the device via USB cable. Once connected, the device name will be displayed on the program. If not, you need to download the latest USB driver from LG site. Launch Settings on G5 and navigate to About Phone -> Software info. Then tap Build number seven times to unlock Developer options. Go to Developer options and turn on USB debugging by checking the option. The above three steps are the preparations for the final rooting. 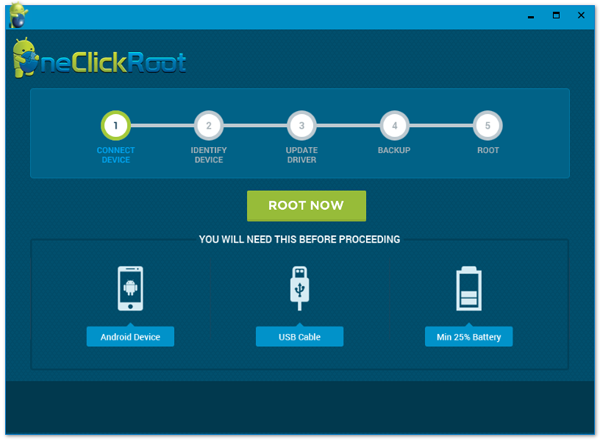 Click' Root Now ' to start the real rooting process. You can see a progress bar on the screen indicating how much percent the job is done. It will take 10-20 minutes to complete the rooting because it involves multiple tasks in this step. With a rooted LG G5, you will enjoy more freedom with the device. It’s almost no limitation when using the device. You can perform a lot of advanced operations on that phone such as customize themes, install new ROMs or uninstall stock apps. As you can see from the above guide, there is no much work involved to root the device with AnyRooter app. To be honest, this is the simplest guide I found on the Internet to root LG G5 with Android Lollipop or Android Marshmallow.